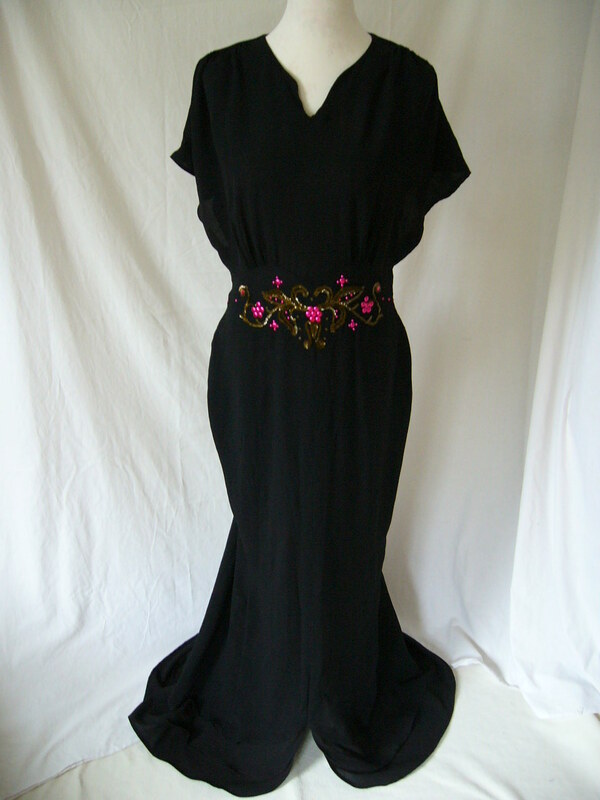 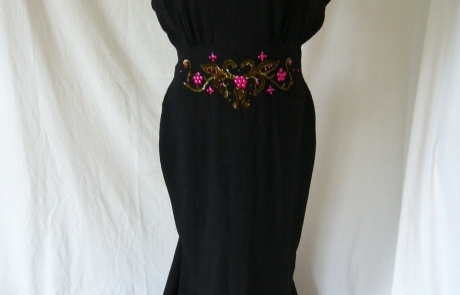 Jessica needed her 1940s gown customised for the Baftas, and asked if we could add a train to it, along with general alterations. 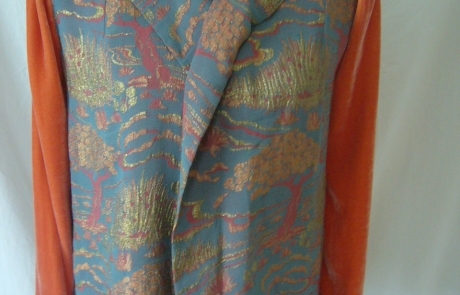 Having found a suitable fabric to go with the original crepe, we designed a 3 tier train by redesigning the front slit and adding on two new panels for the train. 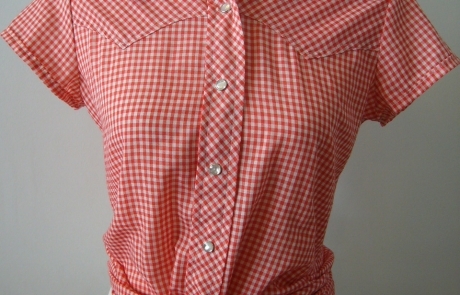 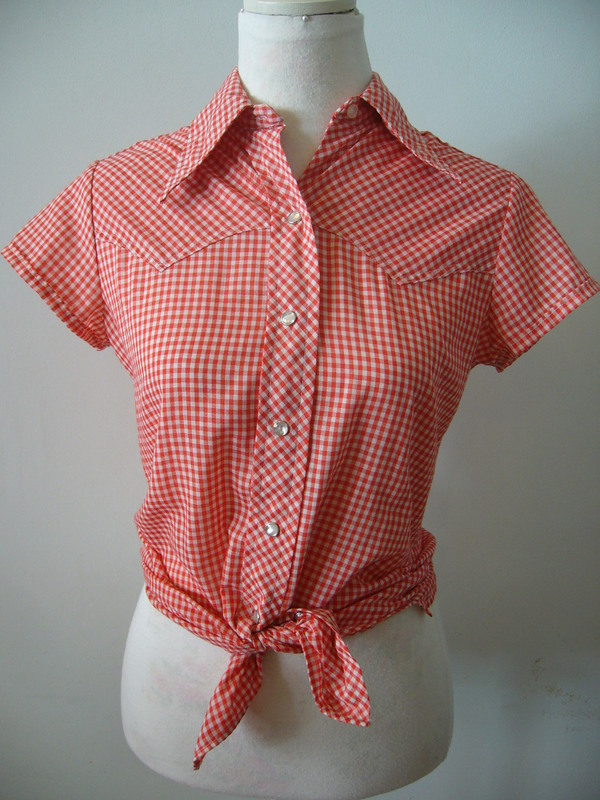 This shirt had a long body but relatively short sleeves with cuffs, so we shortened the sleeves to shorter, almost capped sleeves, and shortened the back so the shirt itself could be worn in a 1950s manner. 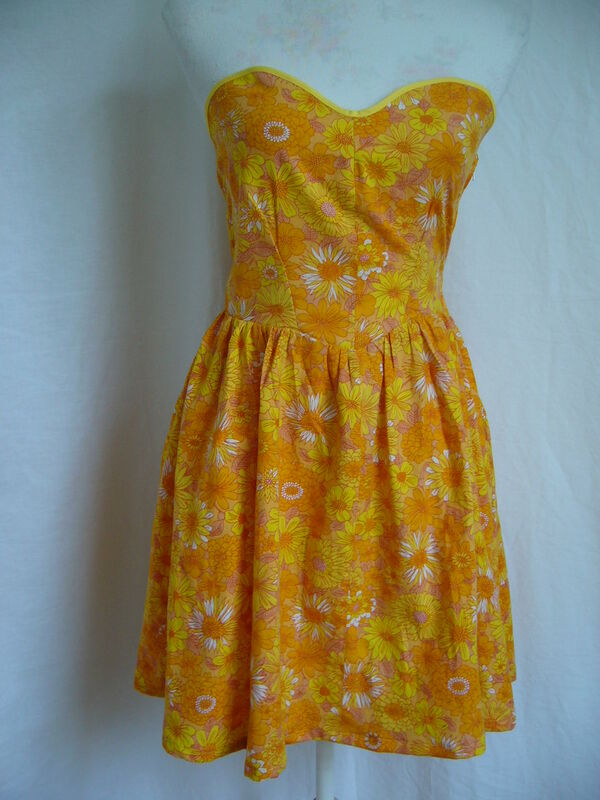 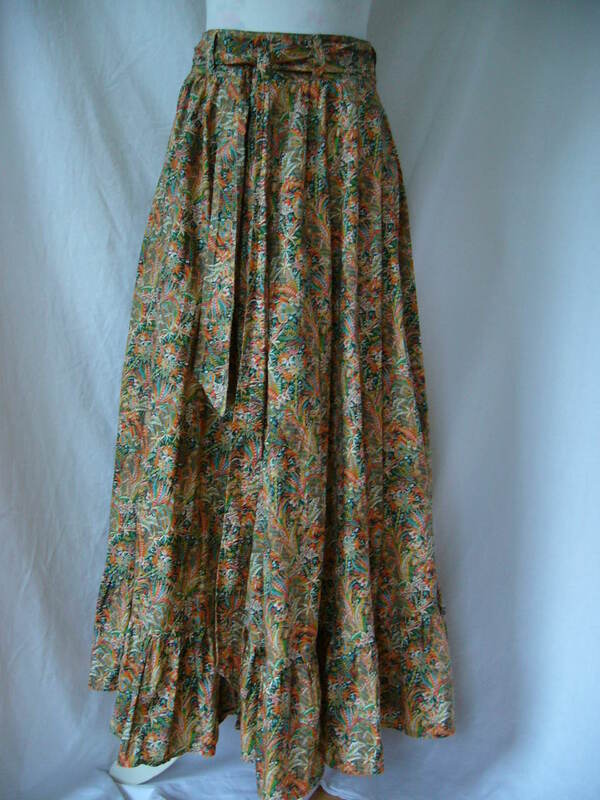 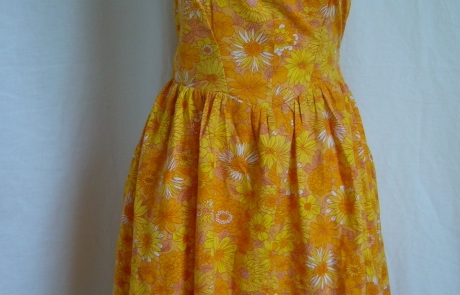 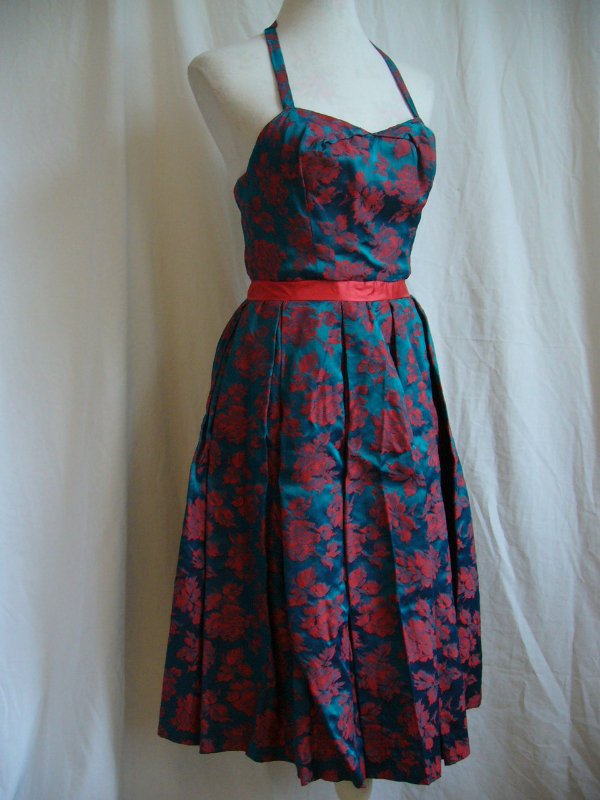 Our client loved the fabric but did not like the style of the skirt, and asked if we could convert into a sun dress. 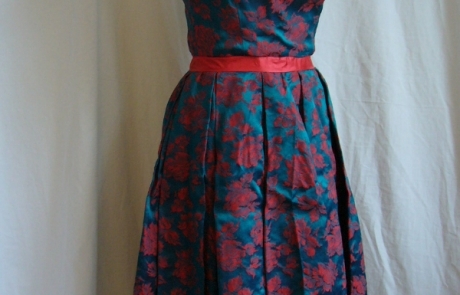 A few fitting consultations later, we had a cute sweetheart neckline finished with bias, a side zip and gathered skirt. 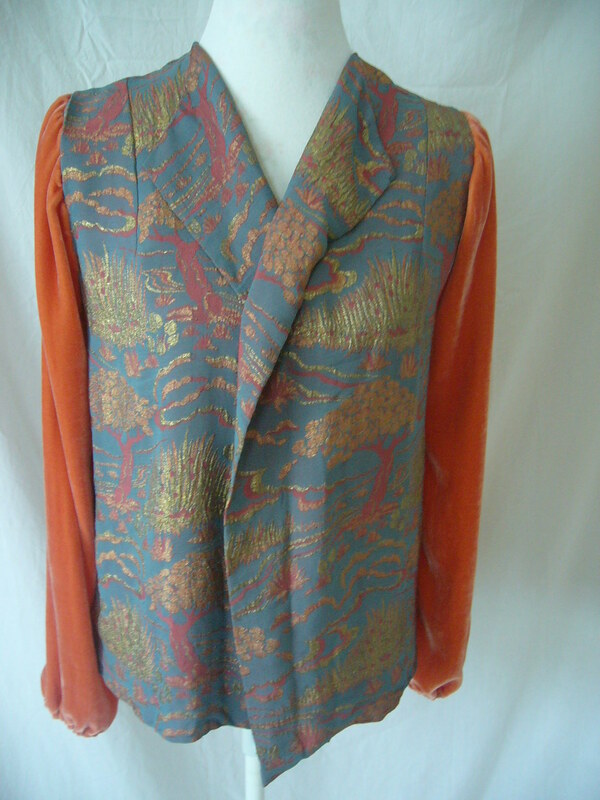 Probably 1920s waistcoat which our client wished sleeves inserted into. 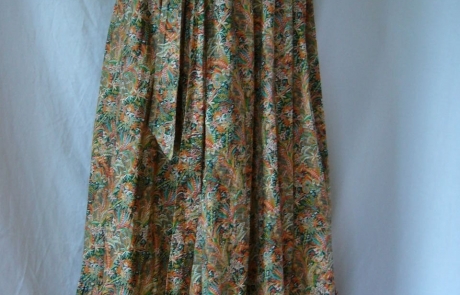 She brought an orange silk velvet and wanted a loose fit with a simple elasticated cuff.